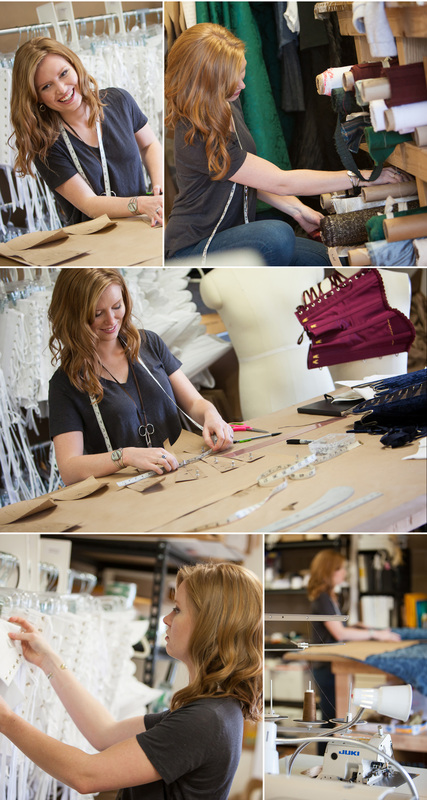 Seamstress and costume designer Cynthia Settje opened Redthreaded in 2009, and recently moved her workshop and studio to its new home outside of Boulder, CO. Her historically inspired costume work is of the highest caliber, and has earned her clients from university stages to television to Broadway. I have been loving collaborations with this talented woman ever since photographing her work this past summer for Colorado Shakespeare Festival. In case you missed it, THIS styled session featuring a new line of her corset designs was an opportunity to create pure collaborative magic. Naturally, I jumped at the chance to photograph Cindy’s headshots in the space she has designed for her incredibly successful costume shop. Since Cindy invited me to come to her studio for headshots, I couldn't resist the opportunity to turn the photoshoot it into a bit more of a story than just taking "headshots." I’d like to think of this session as the first in a series that I’ve long dreamed of photographing... artists at work in the spaces they've designed as their creative homes. Perhaps it's the former Art Major in me... perhaps its the former architectural designer, but whatever the origin, I’m drawn to the idea of documenting the magic of a creative soul in his or her environment. How artists design and work in their spaces to best foster productivity -- both from a functional perspective, and to keep themselves inspired -- is a fascinating study in personality, creativity, light and design. I invite you to visit Redthreaded online, as well as Cindy’s etsy shop for more information and to see more of her extraordinary work. Her instagram feed is also amazing… and it all happens right in here! Thanks also to the amazing Sara Duffey for beautiful hair & makeup! And if YOU are an artist with a studio or unique creative space, or if you know someone who might be a good subject for this fun artist's studio series, please let me know!! I’m a Denver based portrait and editorial photographer specializing in bringing out connection, personality and story for my clients and their stories. I love to create empowering photo session experiences, custom tailored around the personality and interests of each individual client. I would love to chat with you about documenting your creativity or story!